Screw Rebuilding -- We hard-surface, micro clad, straighten, machine, grind, and mirror polish to precision tolerances. Special hard-surfacing alloys are made with Nickel, Tungsten-Carbide, and Molybdenum to improve production life up to 5 times longer versus standard rebuilding work or remanufacturing. Screw Modification -- Engineering designed to your specifications. Our expert consultation assures exact results. 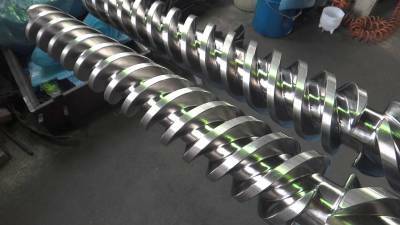 Twin Screw Rebuilding -- Straight or Conical Twin Screws. 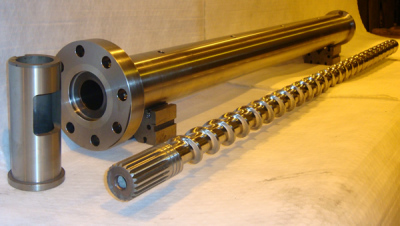 Barrel rebuilding -- Extrusion and Injection molding barrel with bimetalic inlays. 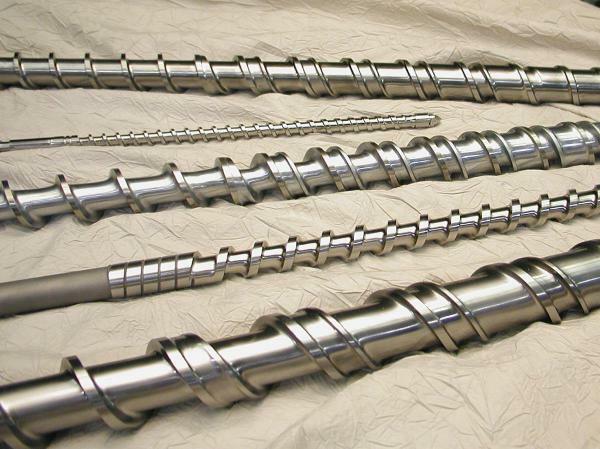 Barrel Resleeving and Honing -- Partial sleeves up to 144 inches or honing to an even oversize dimension. Components Building and Repair -- All replaceable components. 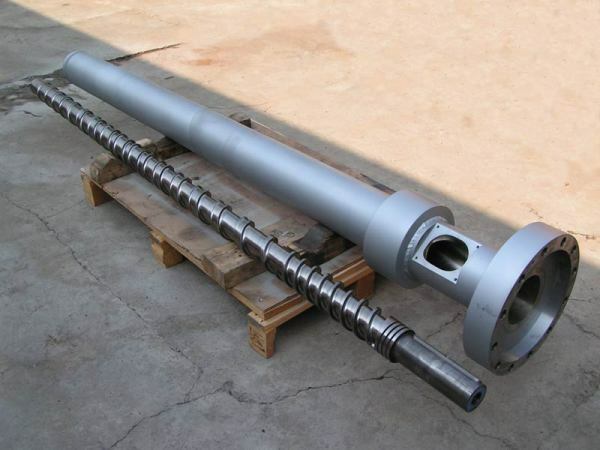 Inspection Certificate -- All incoming and outgoing screws, barrels and components are inspected and Rockwell tested for hardness and print accuracy. We assure you fast and reliable quality rebuilds with a one week turnaround lead time. Free shipping both ways on first order. Our NICOMO process is far more superior than tungsten coatings out beating carbide 10x better, delivering exceptional wear-life and a stronger tougher durable surface on flights and barrel.